In 2016, a federal court jury in Los Angeles ruled that Led Zeppelin did not plagiarize portions of their iconic track "Stairway to Heaven." Despite that decision, a U.S. appeals court has now ordered a new trial in the lawsuit. As the Associated Press reports, a three-judge panel of the 9th U.S. Circuit Court of Appeals ruled unanimously that the lower court judge "provided erroneous jury instructions" for the first trial. The AP adds that U.S. District Judge R. Gary Klausner did not advise jurors "that while individual elements of a song such as its notes or scale may not qualify for copyright protection, a combination of those elements may if it is sufficiently original." The three-judge panel also found that Klausner had wrongly told jurors that "copyright does not protect chromatic scales, arpeggios or short sequences of three notes." "This error was not harmless as it undercut testimony by Skidmore's expert that Led Zeppelin copied a chromatic scale that had been used in an original manner," 9th Circuit Judge Richard Paez told the AP. The case against "Stairway to Heaven" was initially brought to the courts in 2016 by Michael Skidmore, a representative for late Spirit frontman Randy Wolfe (a.k.a. Randy California). Before he passed away in 1997, Wolfe complained about the likeness between his own band's 1967 song "Taurus" and Led Zeppelin's "Stairway to Heaven," which was released four years later. 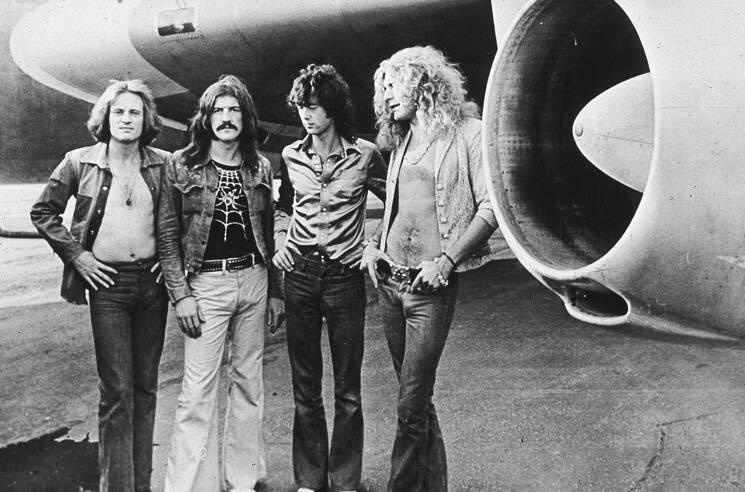 Both Led Zeppelin and Spirit toured together in the late '60s. In 2014, Led Zeppelin guitarist Jimmy Page called the plagiarism accusations "ridiculous," while acknowledging that being on the road with Spirit may have influenced his songwriting.